Willie, not sure that sausage is still made anymore. We haven’t been able to find it lately in our store. Good luck! Hi. 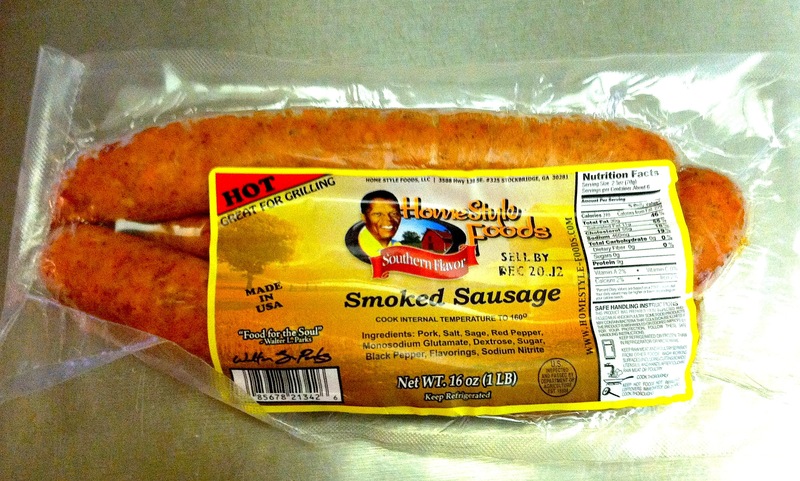 I purchased 10 pscks of your hot sausages as I had the pleasure of tasting them while visiting the parents in Atlanta recently, I placed an order. On last Saturday online I ordered 10 packs and although I thought that having no choice about having to pay the $40 deluvery fee for two day shipping was almost the same price ss the sausages, I wanted your sausages. However, being that they did not arrive until Friday or 5 days afterwards, I am requesting a refund on that two day delivery service fee of $40. Sorry, but I have no association whatsoever with the company that makes these sausages. I just like to eat them! I’ve noticed that they aren’t sold in our local Giant anymore, so I haven’t had them myself in a couple of years. Giant was the only store that sold them in our area. Good luck resolving your problem!! !